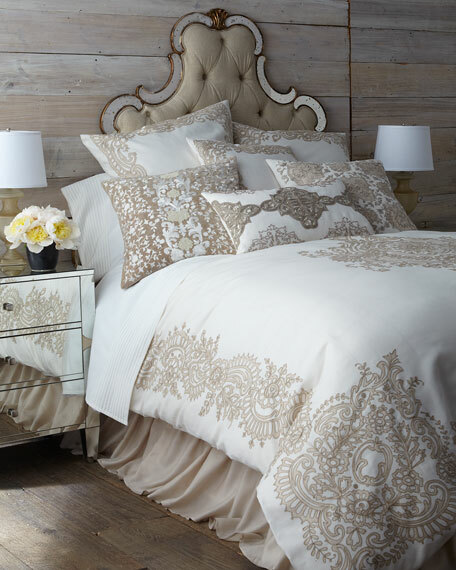 Duvet cover made of linen with a contemporized Victorian lace pattern. 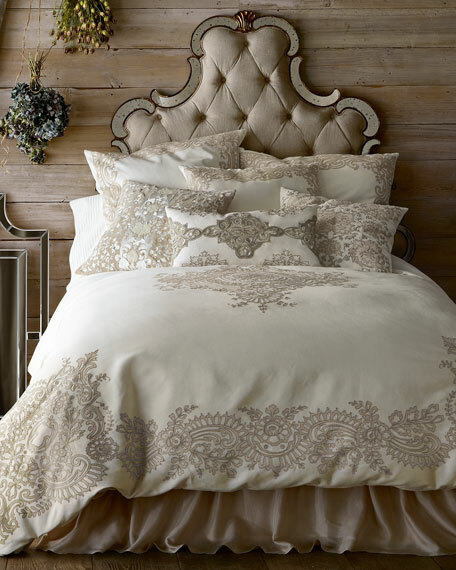 Callisto Home Avalon Sequined/Beaded Pillow, 16" x 26"
Detailed with silver-tone sequins and natural-colored beads. Dust skirt made of rayon. 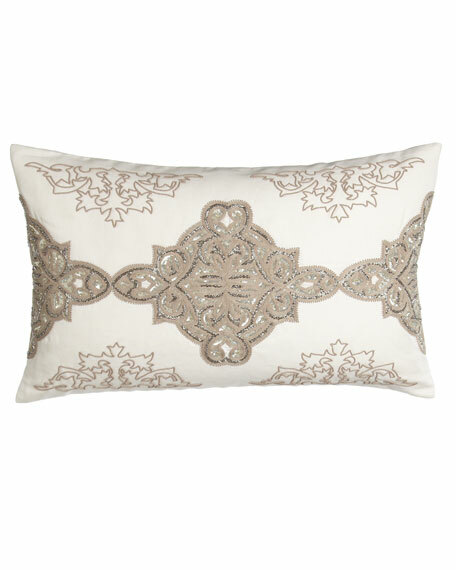 Avalon Square Pillow with Natural Ground, 22"Sq. 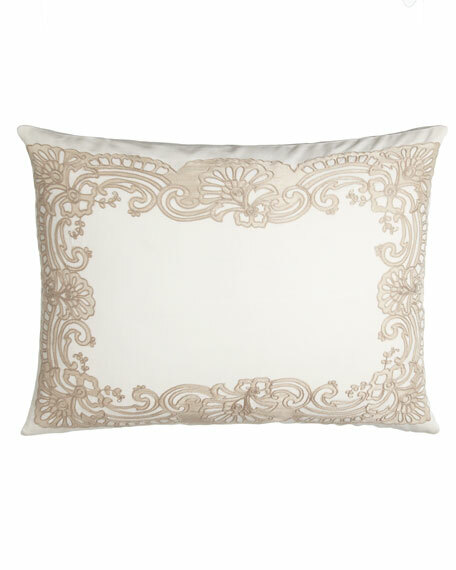 Avalon Square Pillow with Cream Ground, 22"Sq.